Zotac Unveils Dual GPU based Geforce GTX 460 x2 Graphics Card. Zotac has unveiled its upcoming Geforce GTX 460 x2 Graphics card which will be based on two GF-104 chips which powered the GTX 460 Core. Galaxy was the first to reveal a dual chip Fermi based on two GTX 465’s but the reason why Zotac chose GTX 460 was better thermal specifications and lower power consumptions as compared to the GF-100 Core. The card will be named Zotac Geforce GTX 460 x2 and is most likely that it will outperform a single GTX 480. 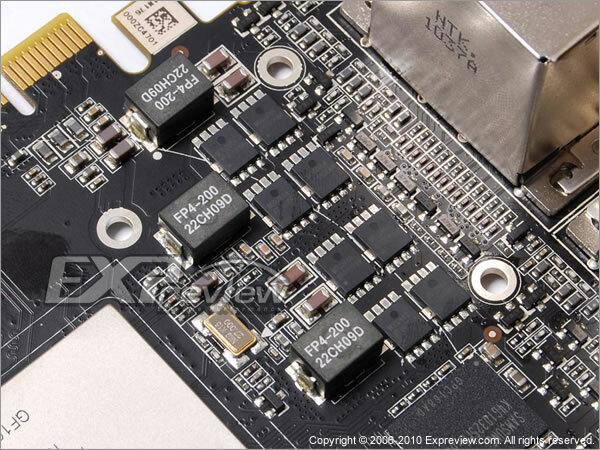 The card also features a single SLI Gold finger which will allow it to run in Quad SLI mode. 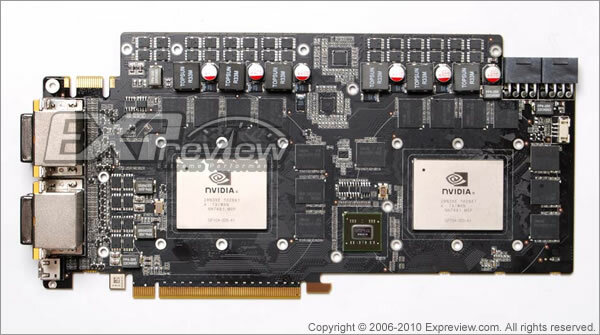 The card also features a NVIDIA nForce 200 bridge chip to semaphore and broadcast data between the two GPUs, A stronger dual 3+1+1 phase VRM which is powered by two 8 pin pci-e connectors while display outputs include four dual-link DVI, and one mini-HDMI. The cooler to be used on the card still hasn’t been finalized by Zotac and it would also be revealed sooner. The card packs in 384 Cuda cores as compared to the reference 334 on a single GTX 460 card. The card will also feature more clocks due to the better VRM phase.